Planning a wedding means remembering a lot of stuff: setting the date, choosing a caterer, showing up for the ceremony. So many things! If your memory is better suited to rattling off random movie quotes and in-depth analysis of the latest Kardashian drama (greetings, brain twin! 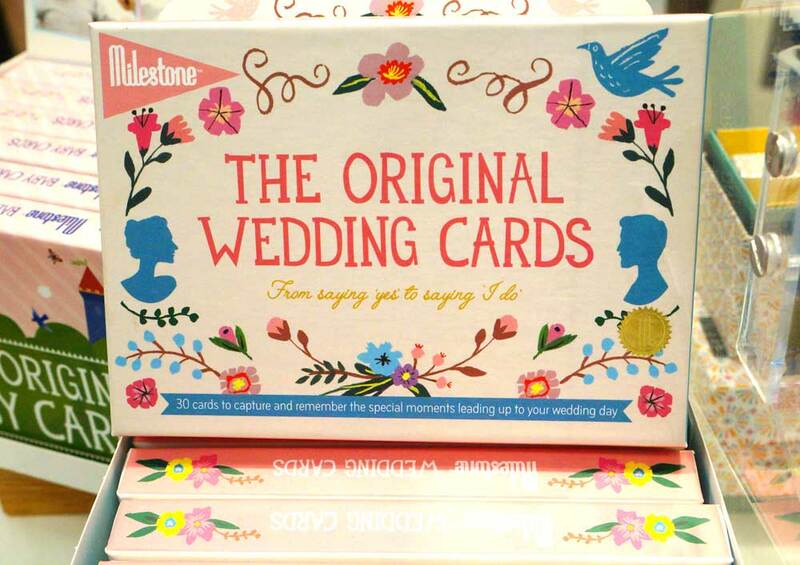 ), Milestone’s Original Wedding Cards have you covered. The set contains 30 cards that celebrate all the special moments leading up to your big day, from sending the invitations and booking a location to choosing a dress and asking your friends to be bridesmaids. There’s also a poster with reminders to help you stay organized, special cards for couples to write in what they like most about each other, and even a card to mark the bachelor weekend. To top it off, the whole shebang is designed by whimsically-inclined fashion illustrator Danielle Kroll, so you know they’re super cute. All you have to do is remember to pick up a set, then just let the cards do the rest.